Combo Cards give customers a convenient choice of placing cards in wallets or on key chains. 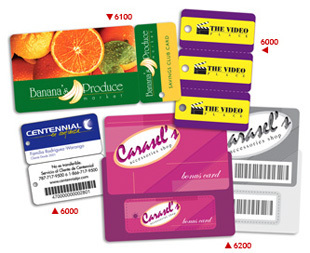 They can be used as loyalty, savings or membership cards for department stores, supermarkets, insurance companies, etc. Bar-Code, Magnetic Stripe, Variable Information, Scratch-Off Panel and Write-On Back are available for Combo Cards.